Pepper & Chocolate: The chemistry of style. Who said there was no such thing as a stylish nerd? 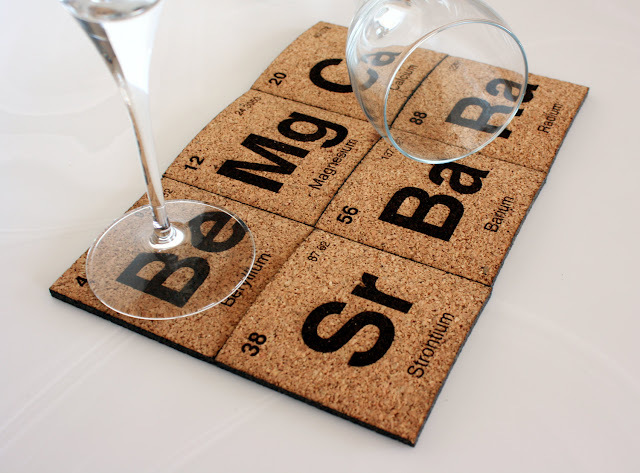 With this new set of Alkaline Earth Metals periodic elements table coasters. You can now proudly show off your love for science. 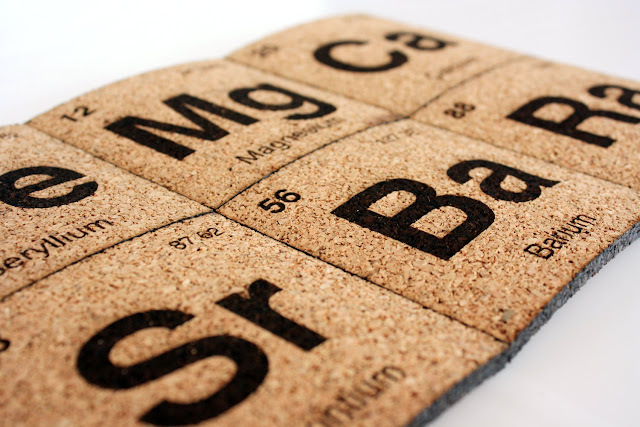 The coasters, made of eco friendly cork represent the cells of beryllium (Be), magnesium (Mg), calcium (Ca), Strontium (Sr), Barium (Ba), and Radium (Ra) in Mendeleev periodic table. The set of 6 retails for $20. More information on Etsy. Wine harmony: when music tastes good.